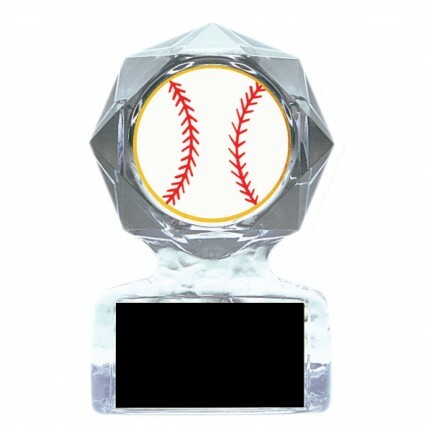 An Acrylic Star Baseball Trophy is a popular alternatives to a traditional trophy. Crafted of solid clear acrylic, this star features a 2" insert of a white baseball with red stitching. Your choice of two sizes; Small: 5" tall or Large: 6" tall.